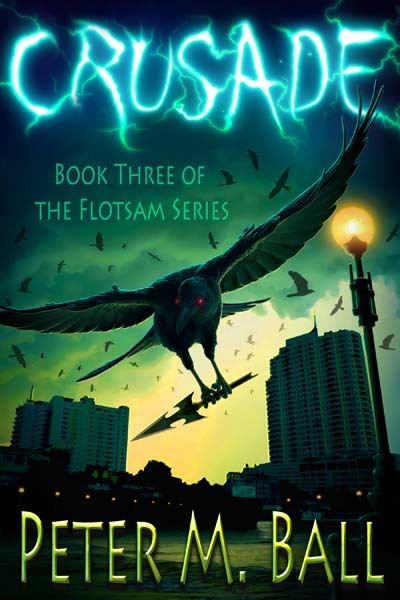 Crusade, Book 3 of the Flotsam trilogy by Peter M. Ball. To be released on July 15, 2015. My name's Keith Murphy. 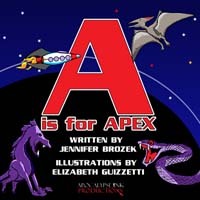 For nearly two decades, my partner, Danny Roark, and I hunted down the dark things that prey on normal humans. But, on what we thought was a routine job, something went wrong. Now the end of the world is coming at us like a freight train on steroids. When Danny goes down, it's me who has to figure out what those fools left over from the Raven cult have planned. It's a puzzle I've got to figure out before those doors open wider and real monsters—ones that my rag-tag, mostly demon, army can't handle—come through. Roark was the one who knew about all this magic and end or the world stuff, not me. I guess I'll figured it out as I go.